﻿Governance by rule of law is based on a stable and trusted criminal justice system. However, without reliable and accessible data, it is difficult to evaluate or strengthen the real operations of the justice system. The Justice Audit is designed to help governments unlock the potential of their own data and mobilize it in service of justice reform. 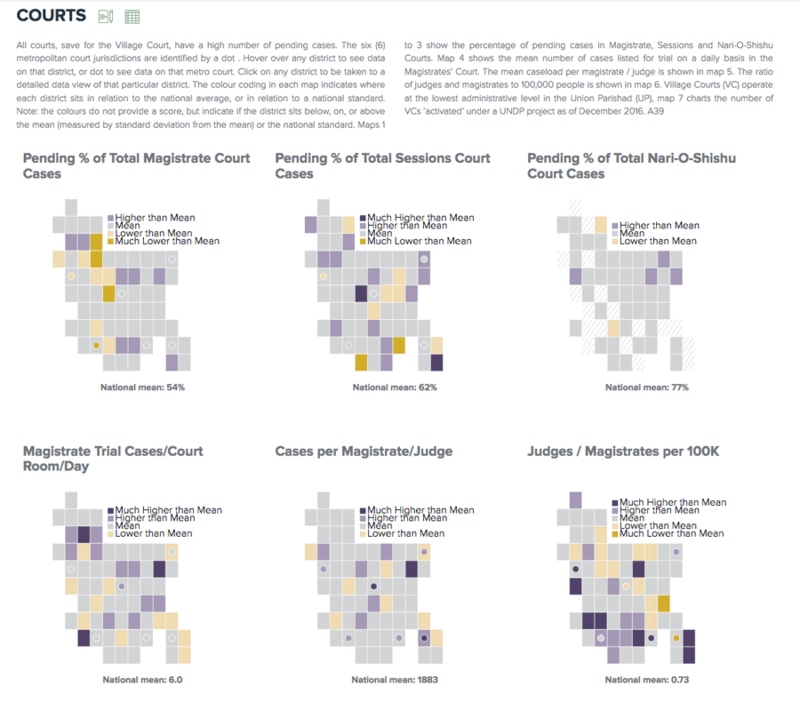 ﻿The Justice Audit combines data collection, analysis, and visualization within an easy-to-update website that maximizes its long term sustainability. The Justice Audit contrasts the way the justice system is designed to work in law with how it actually functions in practice. It depicts the volume, flow and outcomes of cases as they are managed by the various criminal justice institutions and the resources available to those institutions. It reveals crucial pressure points throughout the system which present opportunities for targeted intervention and strategic resource reallocation. The Audit incorporates multiple perspectives on the functioning of the justice system. It not only organizes the voluminous data generated by the institutions of criminal justice (‘big data’), but also integrates the perspectives of criminal justice practitioners, people who are caught up in the justice system, and the public at large. Most importantly, it leaves the host nation with greater analytical capacity than when it began. By embedding the vast array of information that has been collected, analyzed, and visualized within a website, which automatically regenerates new visualizations as new data are annually updated, the Audit establishes a sustainable national policy tool going forward. It Triangulates Data, bringing together in unique combination: i) official agency-based case, resource and governance data from all criminal justice institutions of government, as well as non-governmental organizations; ii) interview data from system practitioners, including police, judges, and prison warders, as well as court users and people in prison; and, iii) public opinion survey data about community safety, access to justice, and system legitimacy—all to get beneath what ‘seems’ to be, to what the situation actually is. It’s Collaborative and Transferable, engaging the justice institutions from the beginning in collecting and analyzing their own data to improve system performance and enabling government to take over administration and update of the Audit following initial implementation. It’s Accessible and Transparent, using live, interactive, updatable visualizations to bring into sharp relief nuances in data instead of a static, 500-page report; while signaling discrepancies through data notes and making all source data available to users. It’s Objective and Apolitical, generating a series of data-driven, justice process narratives ranging across crime and policing, prosecution, legal services, adjudication and sentencing, prison and sanctioning, and weaving them together to describe how the whole of a country’s criminal justice system functions, which gives host governments the tools to inform their policies, rather than policy prescriptions. GJG and Justice Mapping have conducted Justice Audits at the invitation of Malaysian and Bangladesh governments and one is currently underway in the U.S. (Chicago and Cook County). In both Asian countries, the process has improved system communication and coordination among justice institutions. It has moved them from a culture of blame to a realization that the policies and practices of each have an impact on all the others across the spectrum of the criminal justice system. Founding Justice (ret.) of the Constitutional Court of South Africa. Class of 1967 James B. Haddad Professor of Law and attorney (former director) at the Bluhm Legal Clinic, Northwestern Pritzker School of Law. Police, court, and prison reform experience working for the UK government, the UN, USAID, and governments in over 20 countries in Africa, the Balkans, and South Asia. 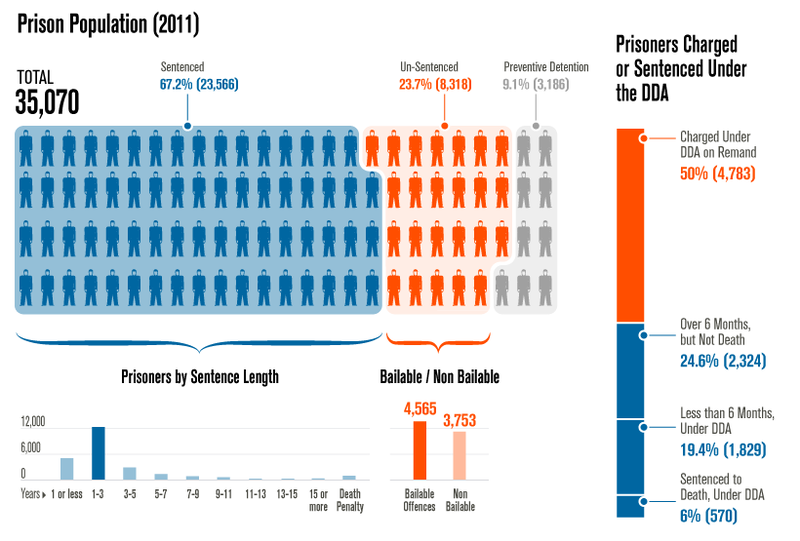 Data visualization and justice policy reform experience working with philanthropies in the U.S., national research organizations, the Federal Government and dozens of state correctional agencies. © Copyright 2019 Justice Audit. All rights reserved.